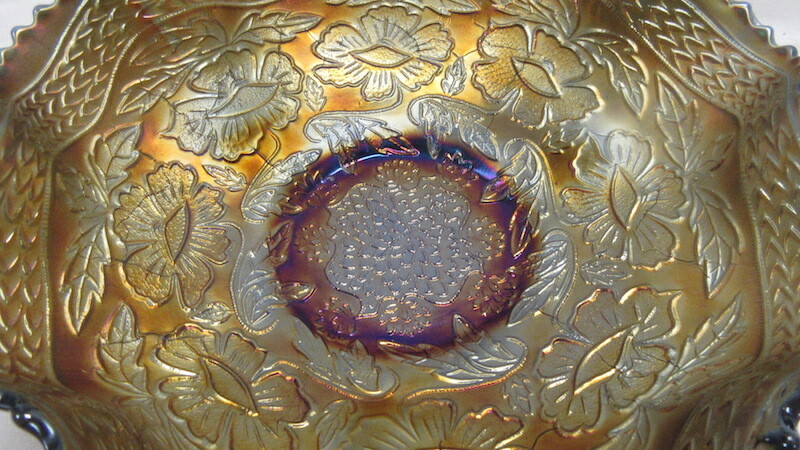 Two Flowers is named for the two different types of flowers found in the design–not the number of flowers. 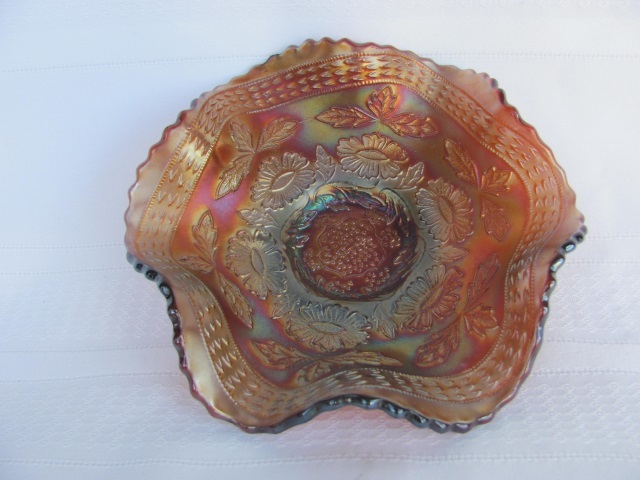 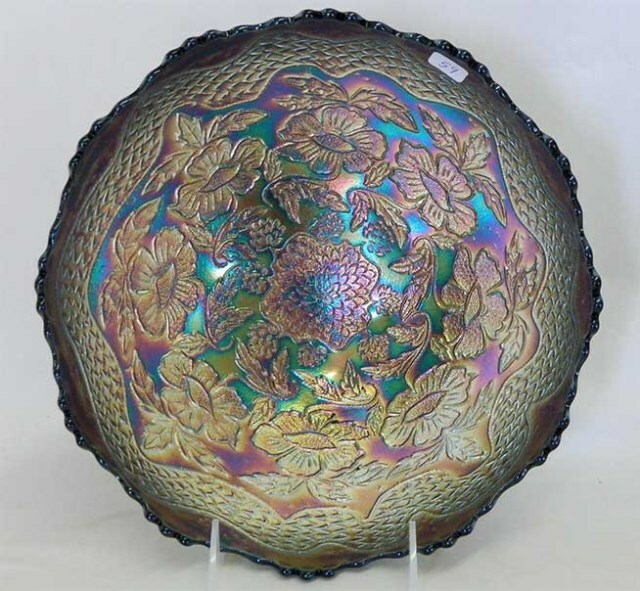 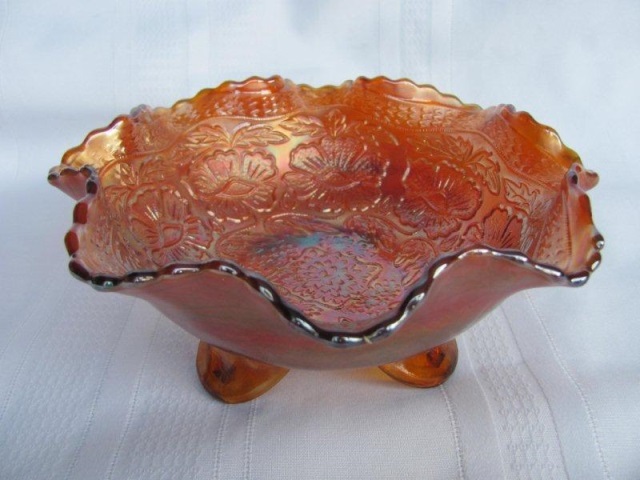 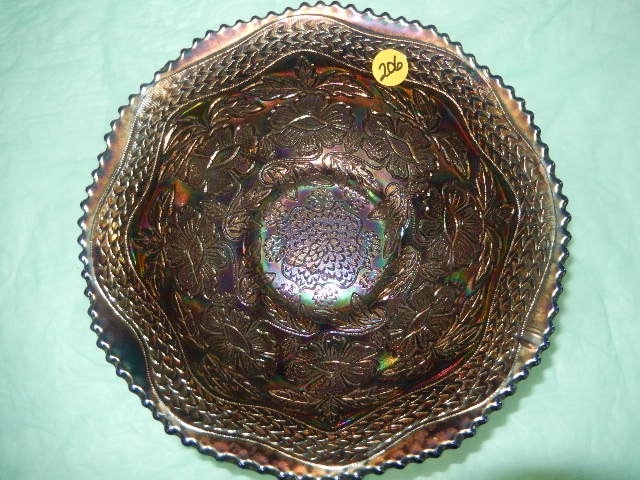 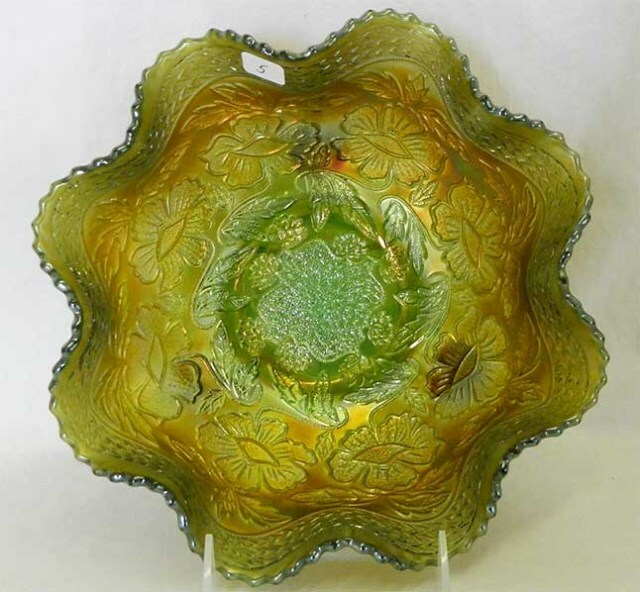 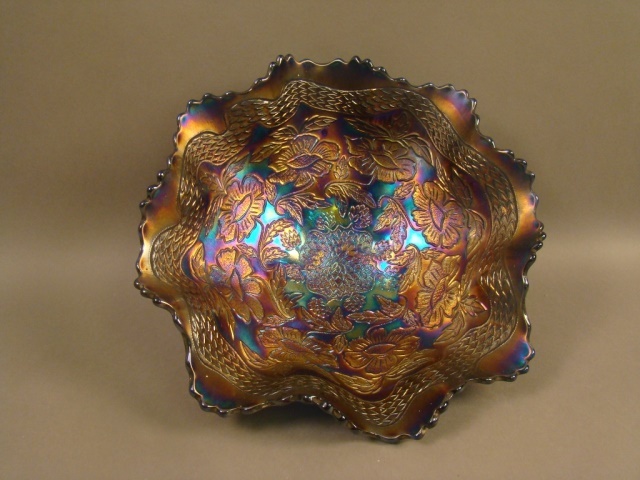 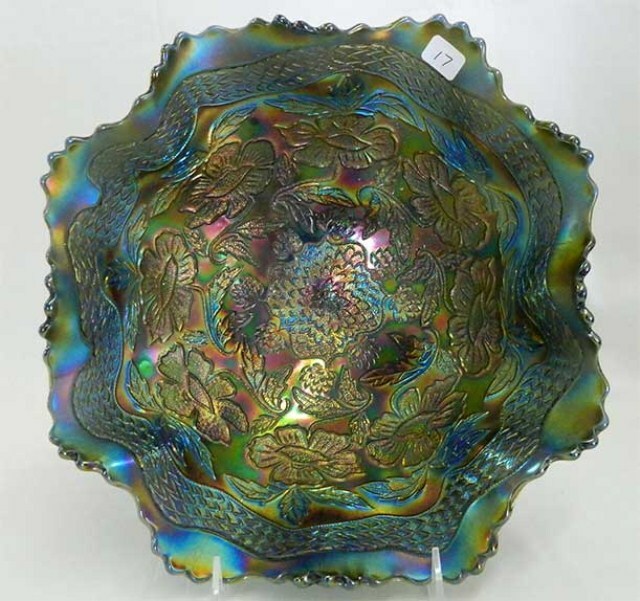 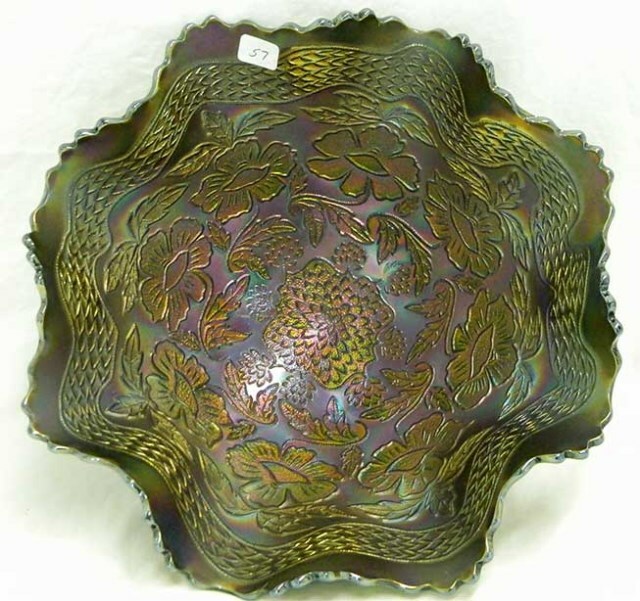 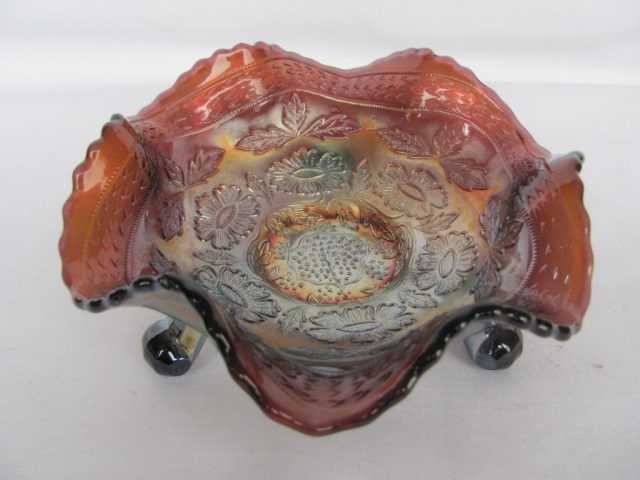 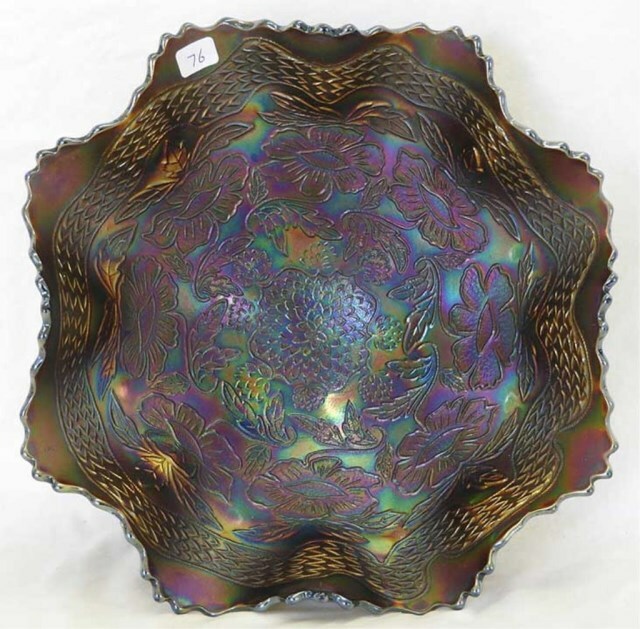 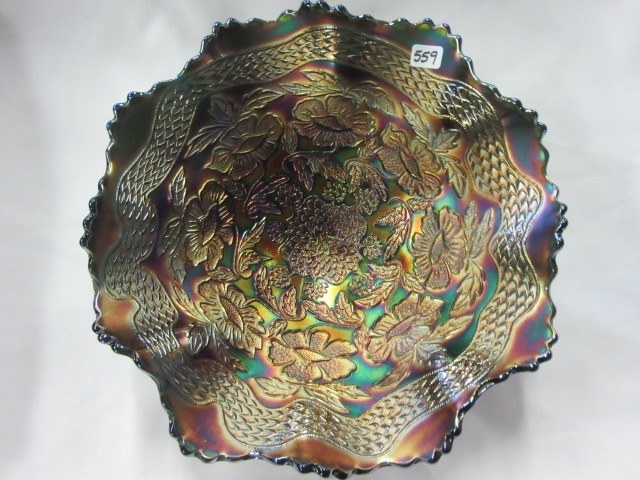 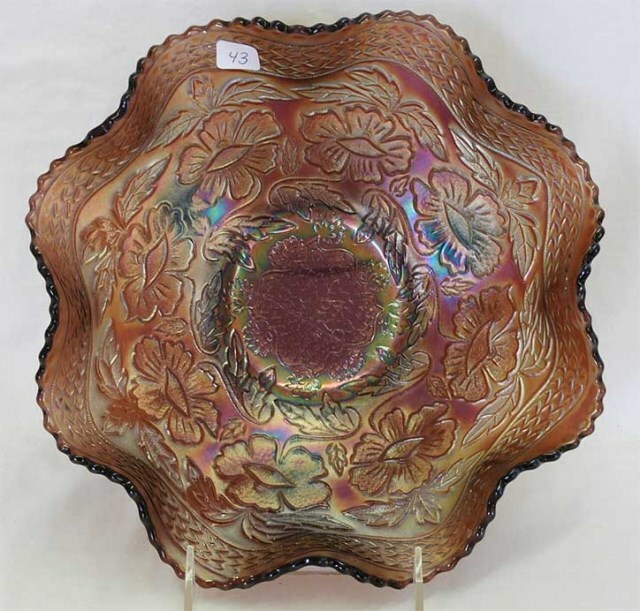 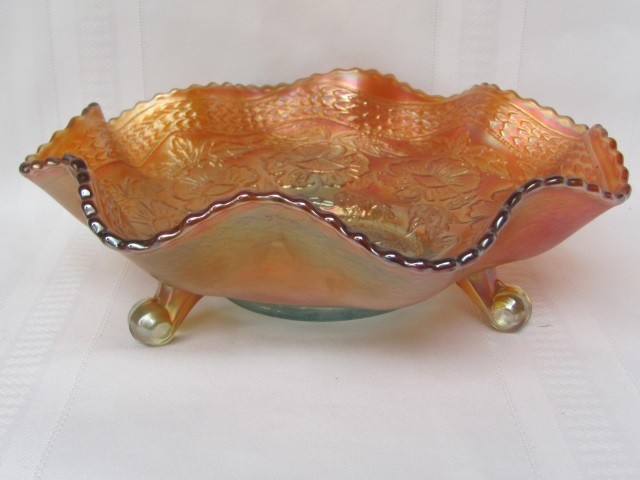 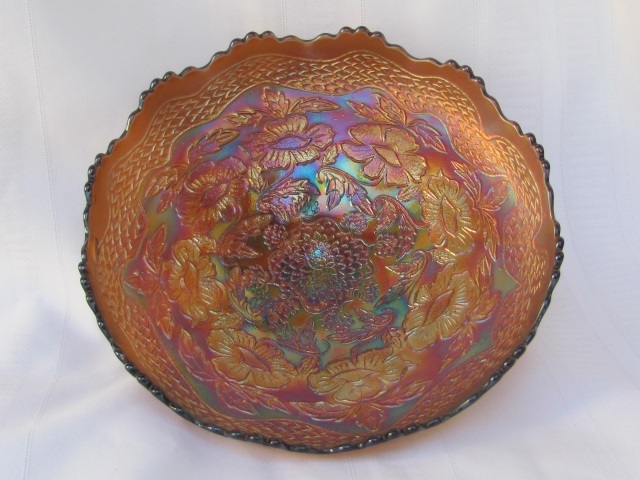 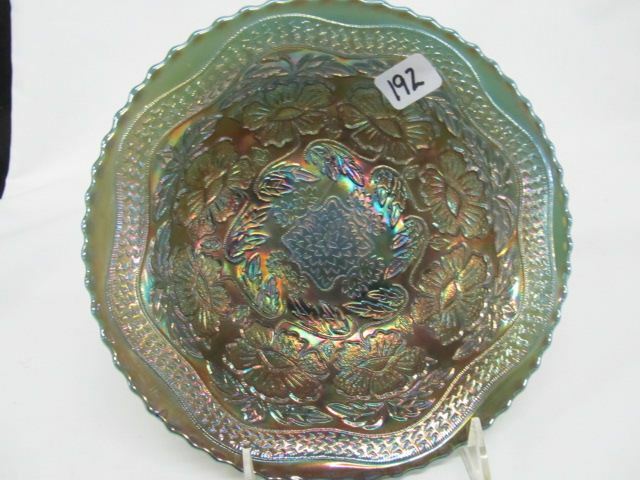 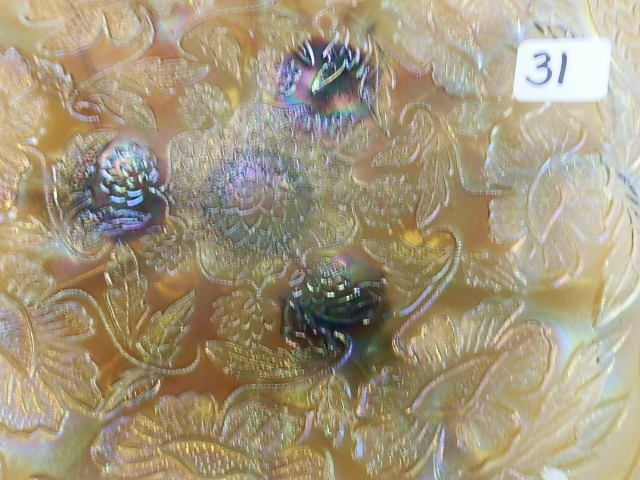 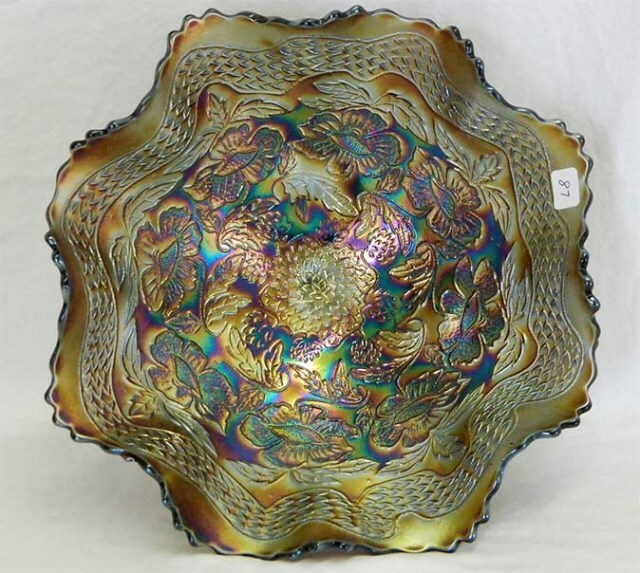 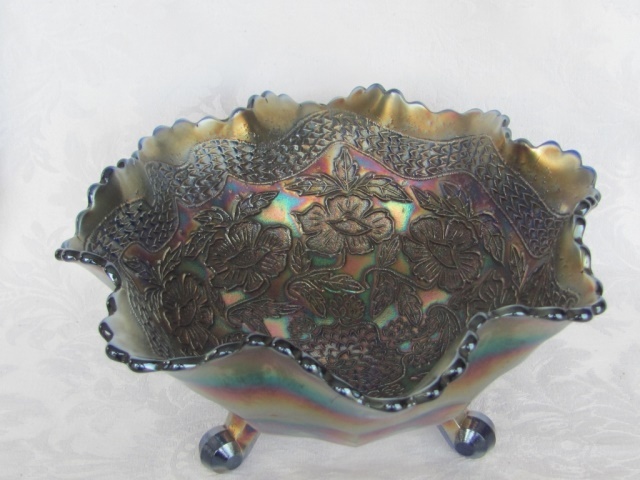 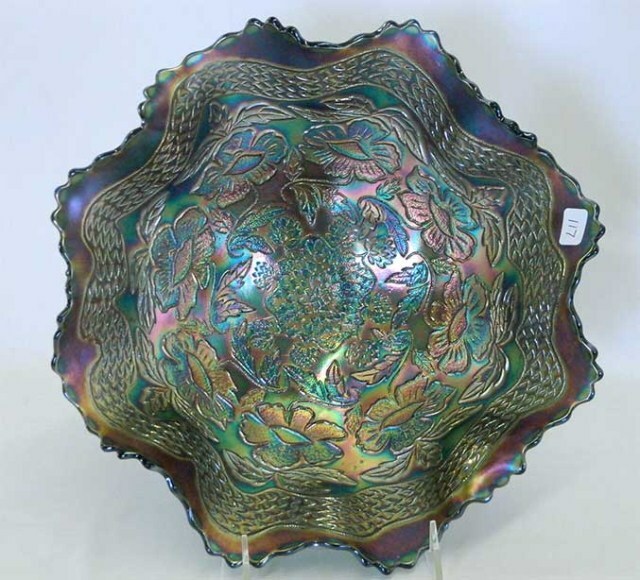 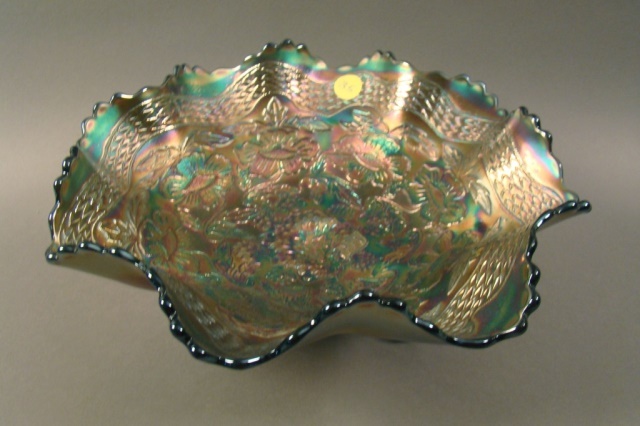 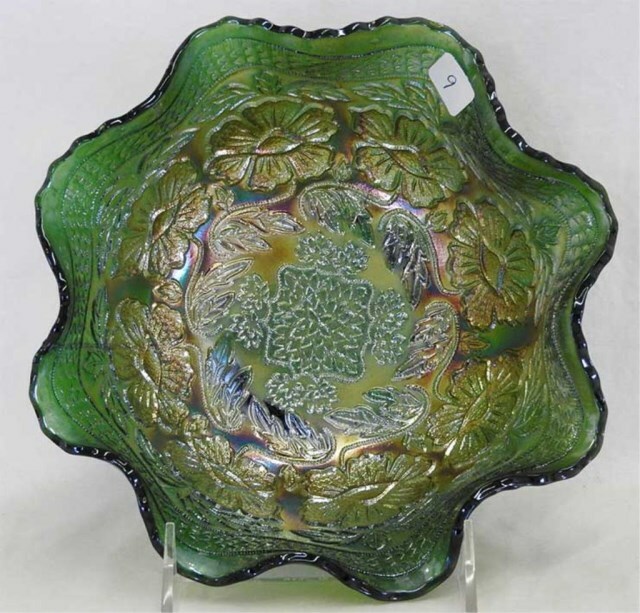 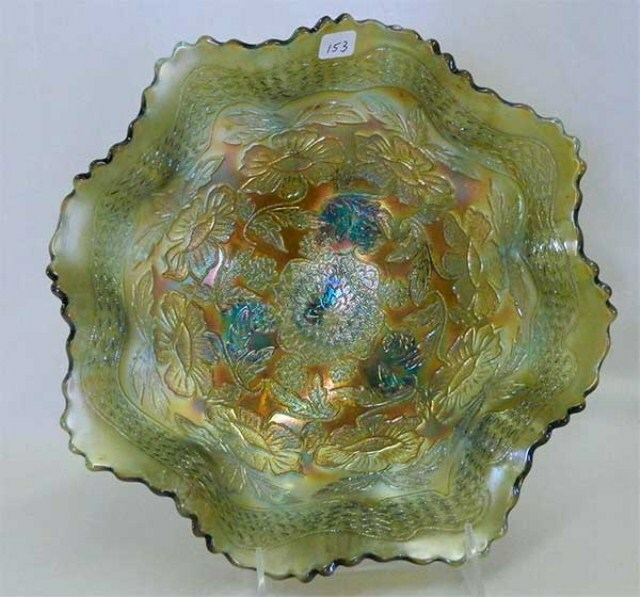 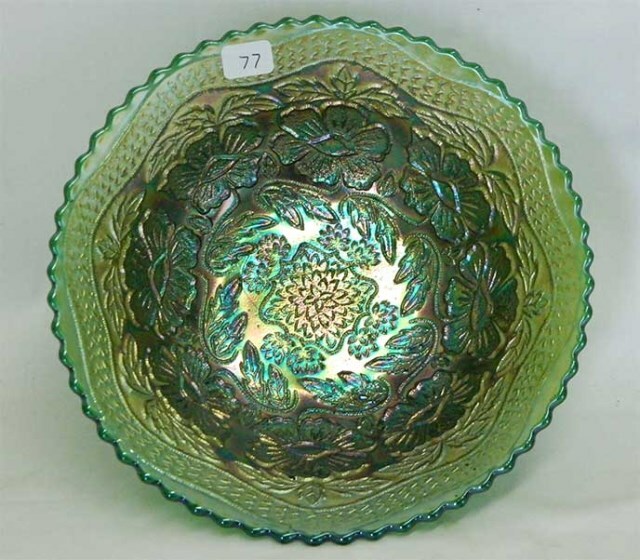 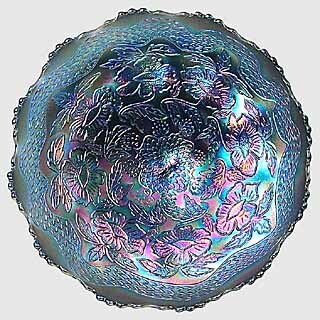 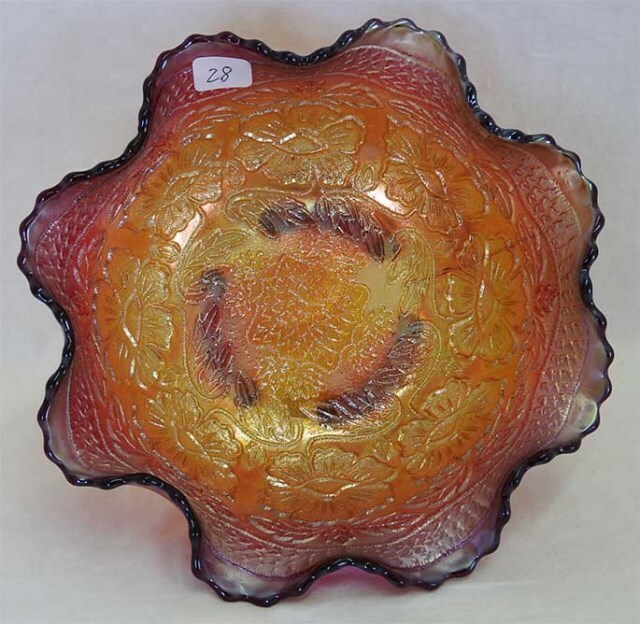 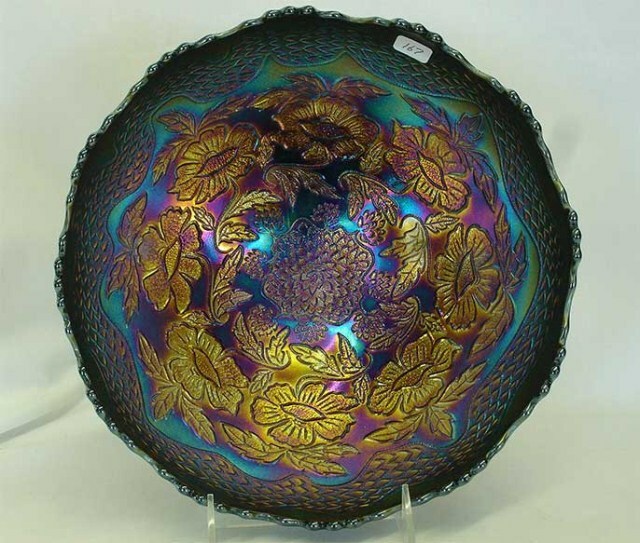 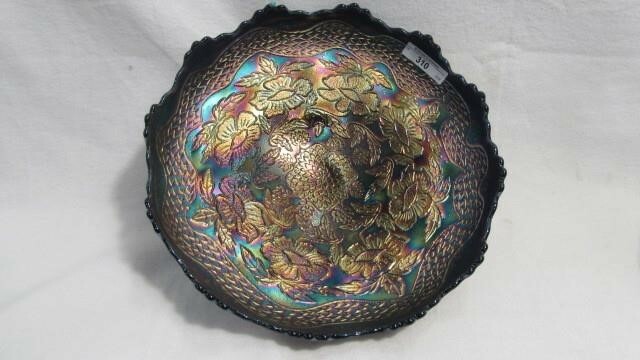 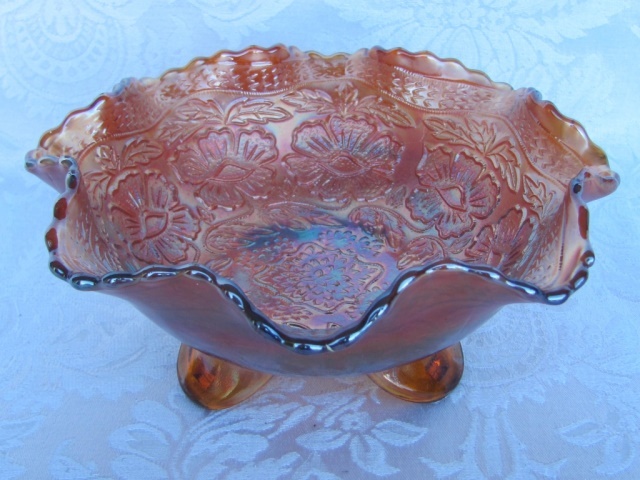 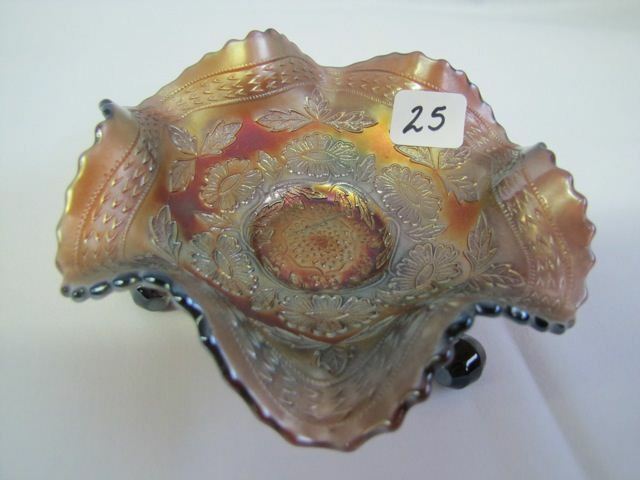 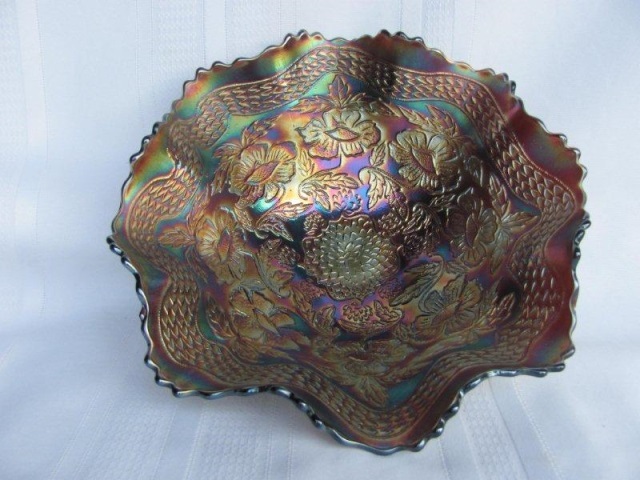 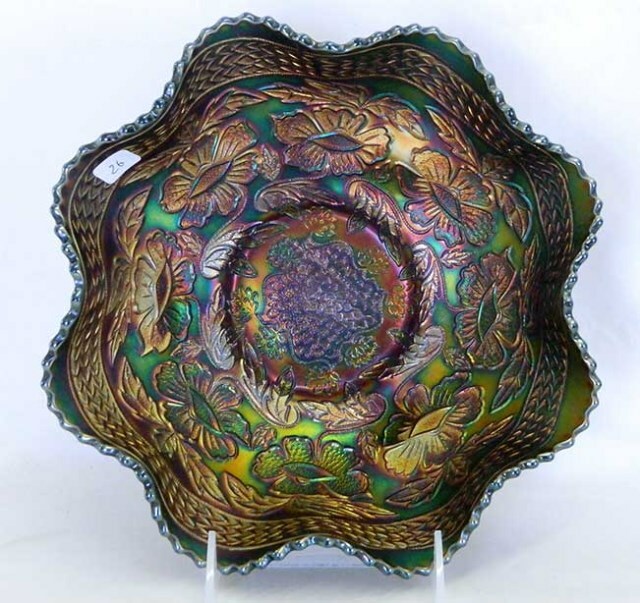 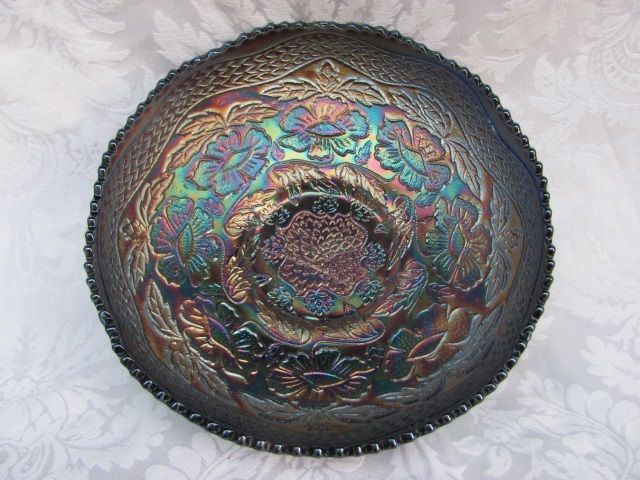 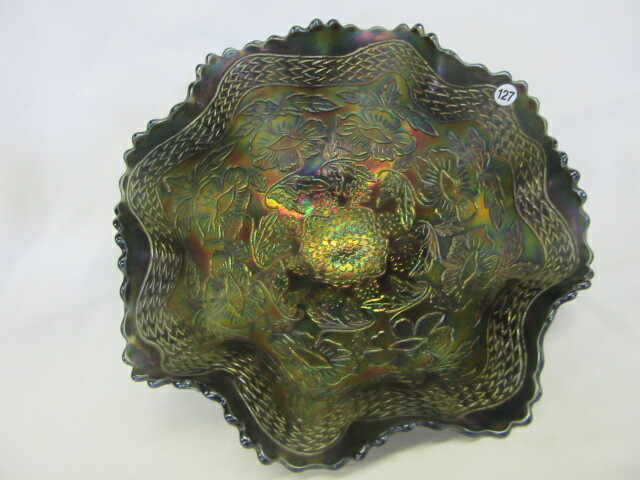 Like its sister pattern, Stag and Holly, it is seen mostly in ball footed and spatula footed bowls, rosebowls, and rare chop plates. 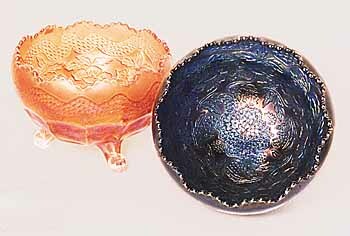 Also found in occasional collar-base bowls and sauces. 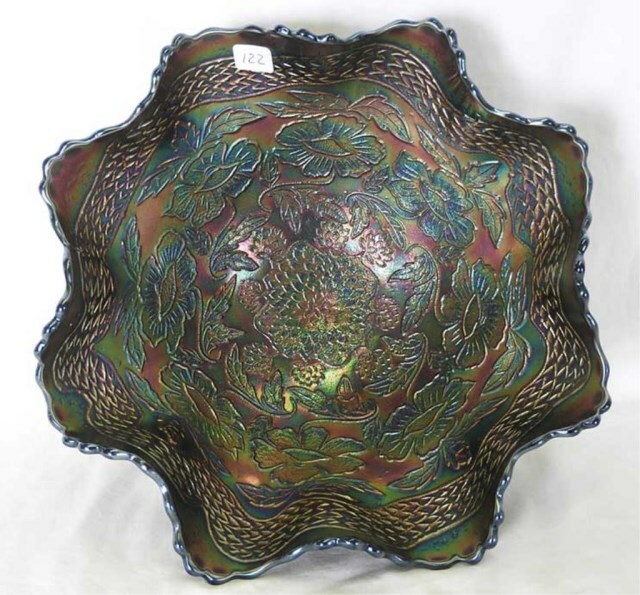 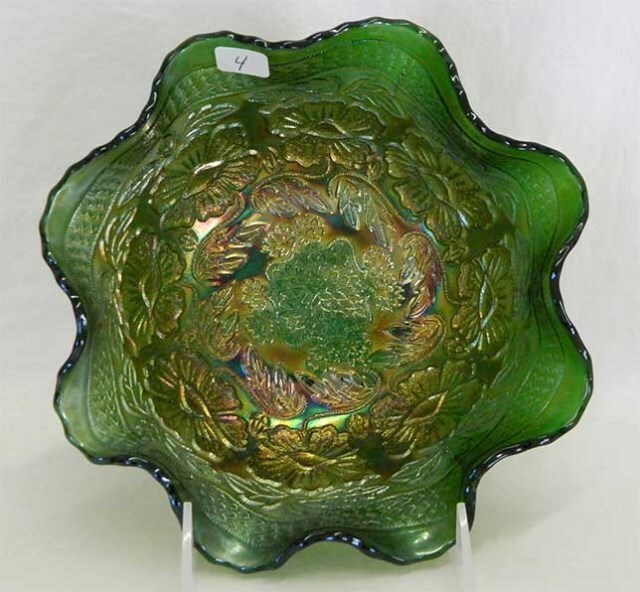 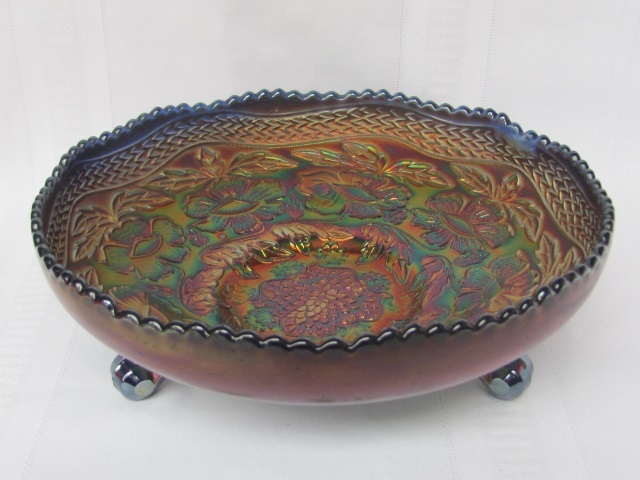 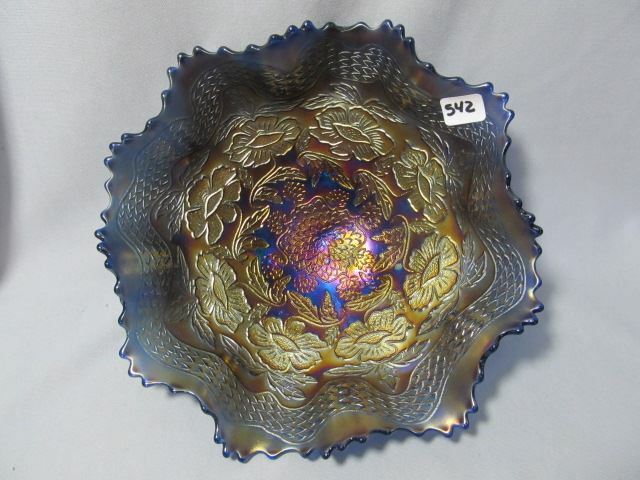 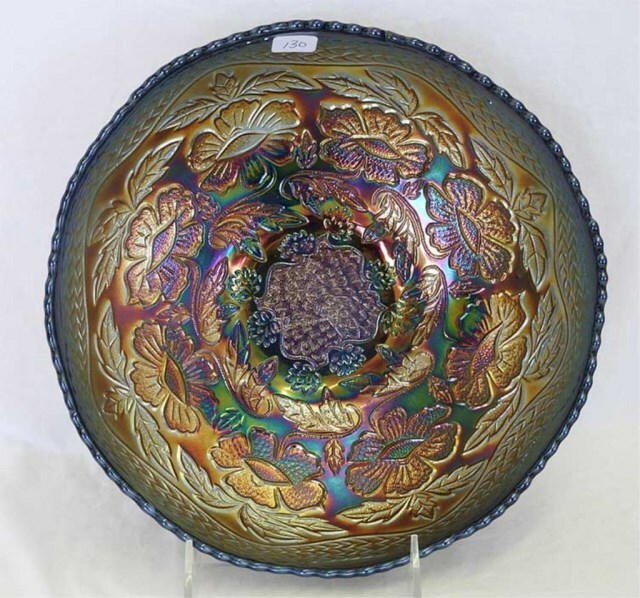 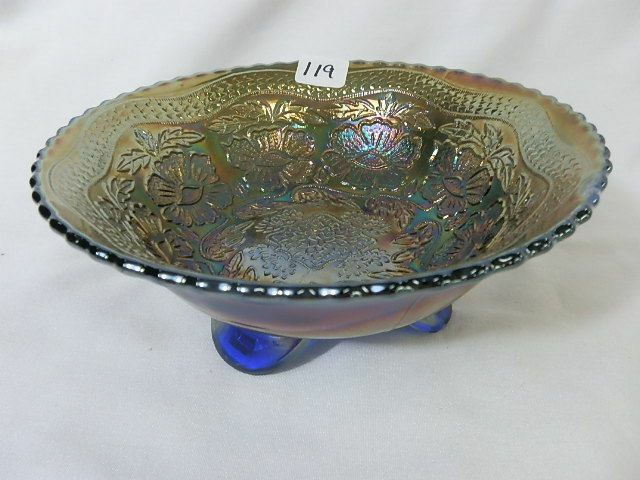 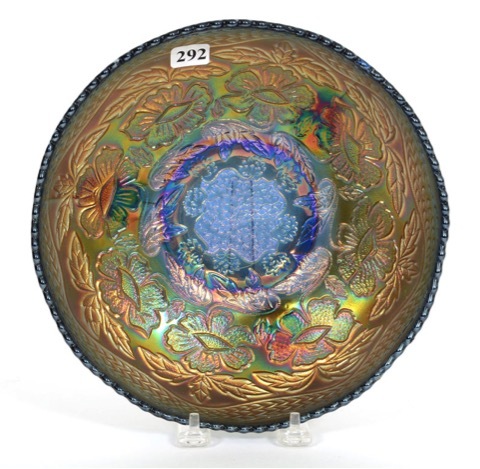 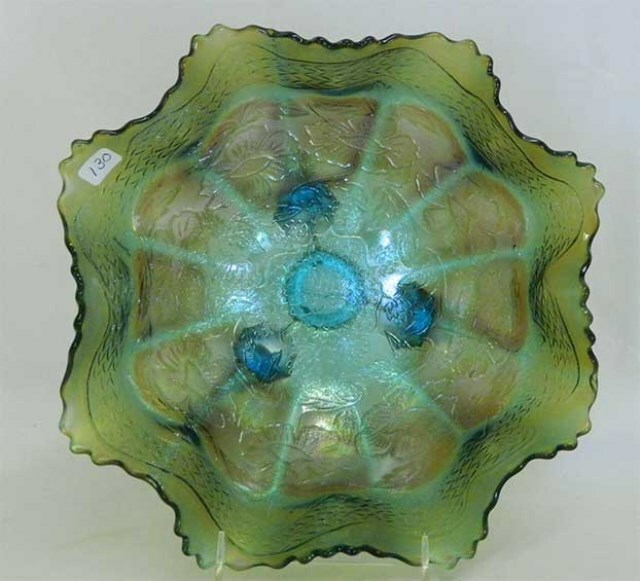 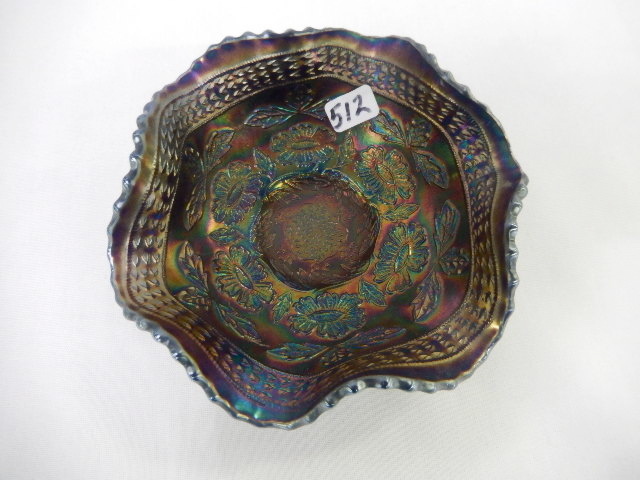 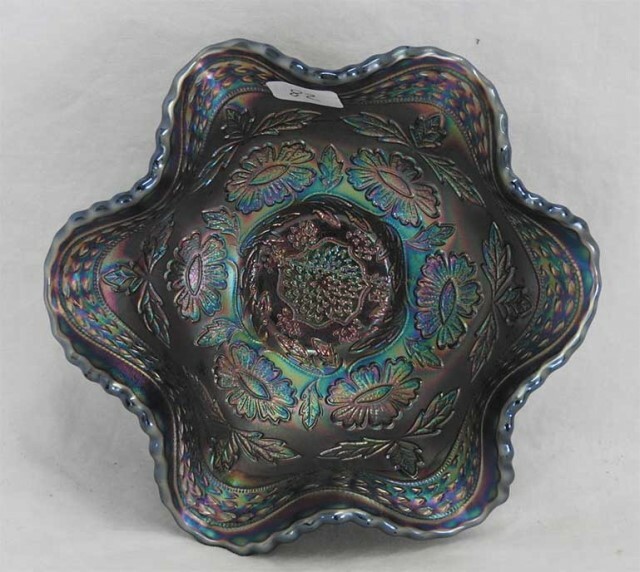 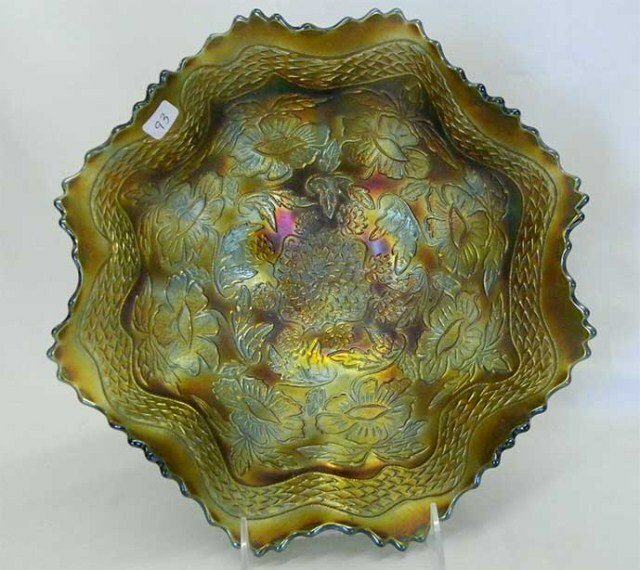 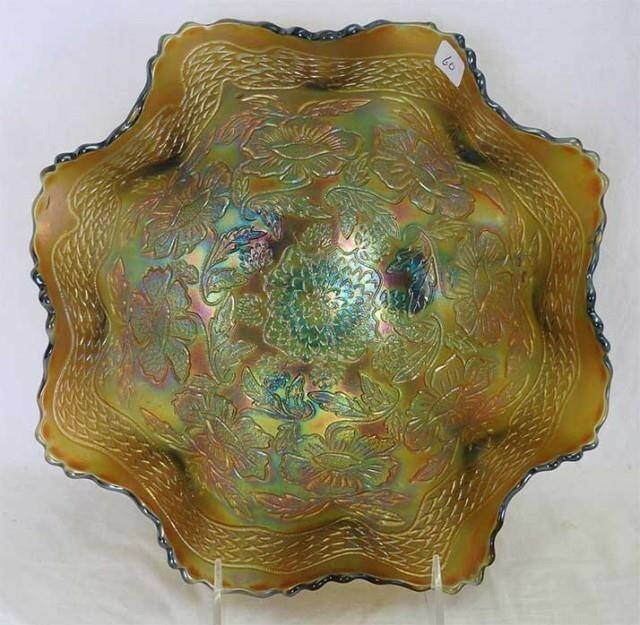 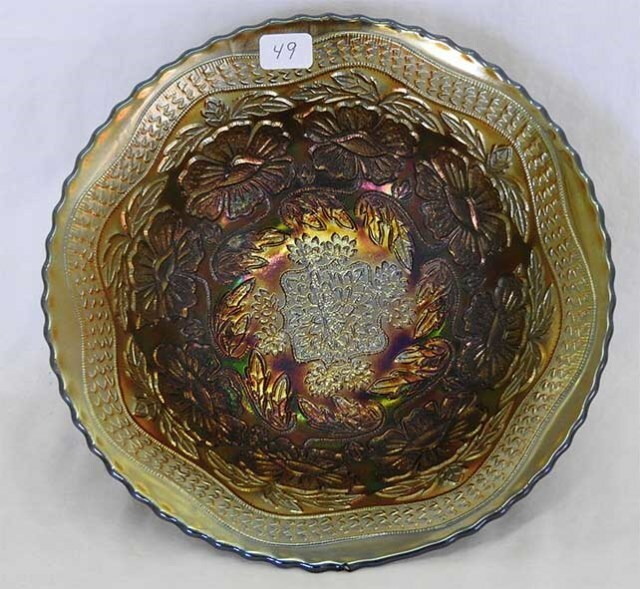 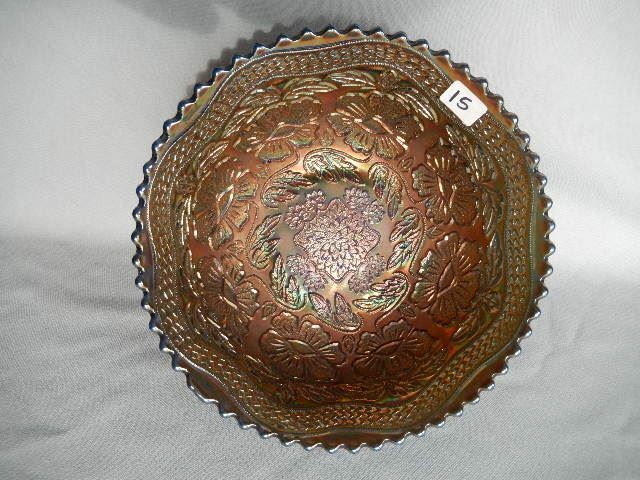 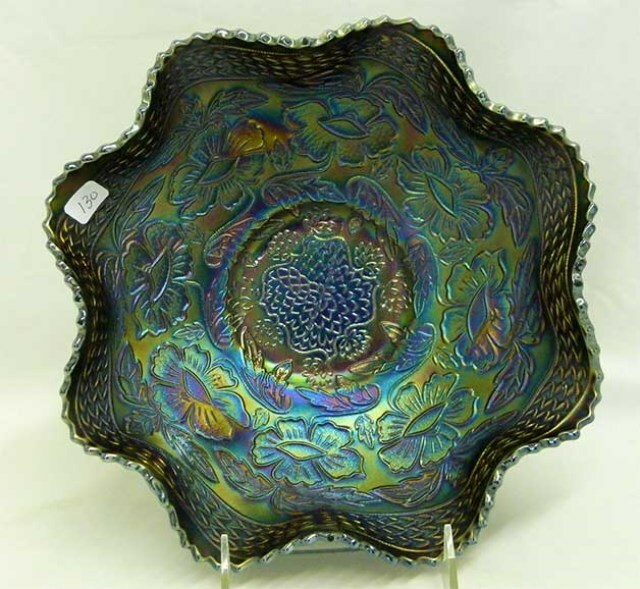 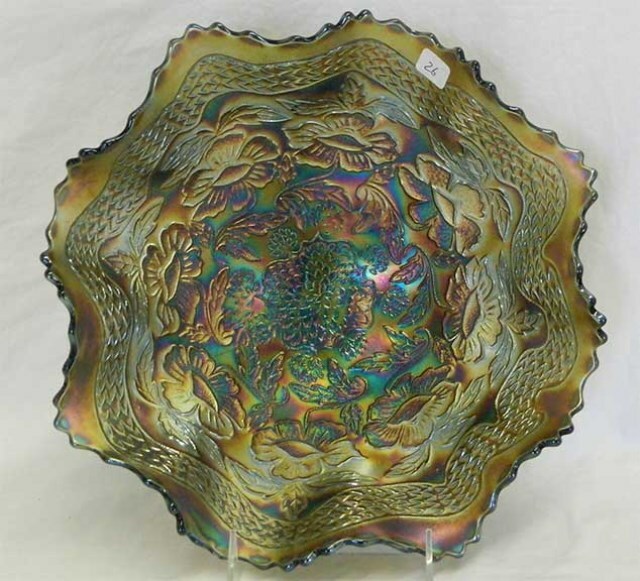 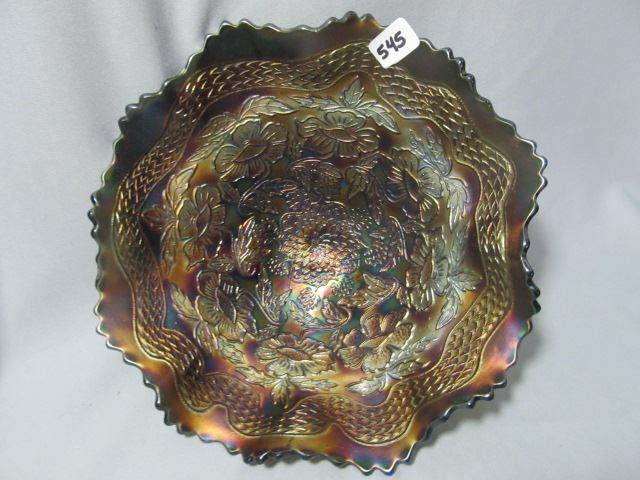 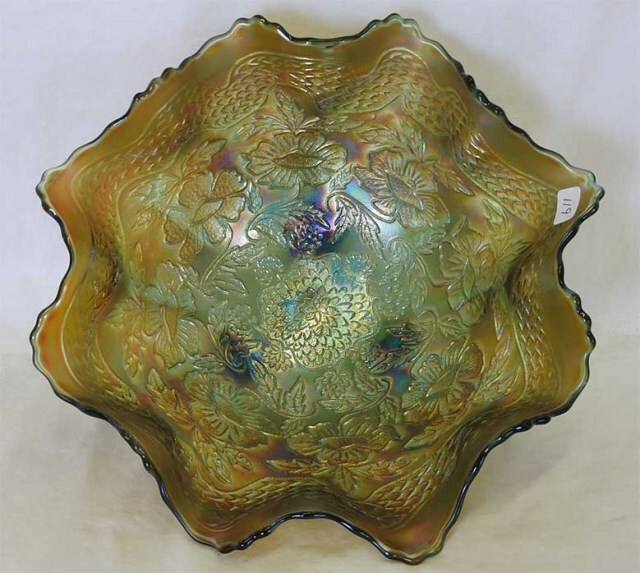 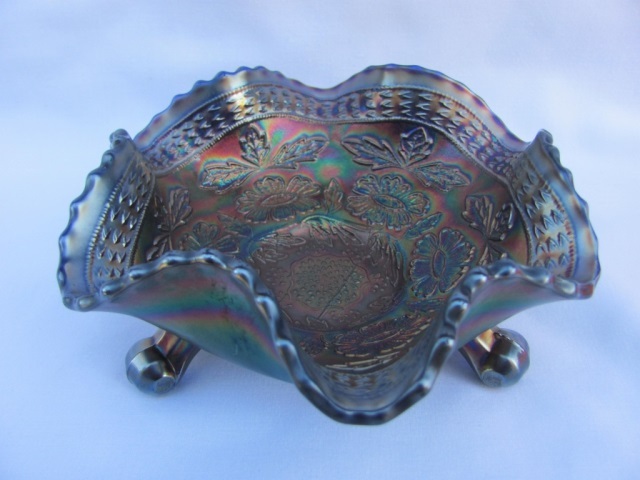 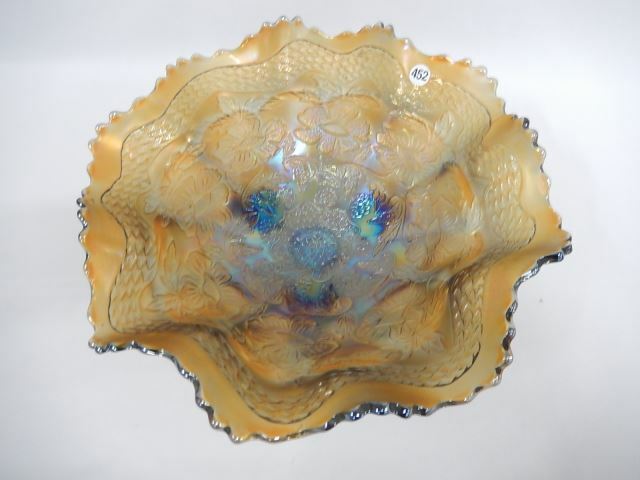 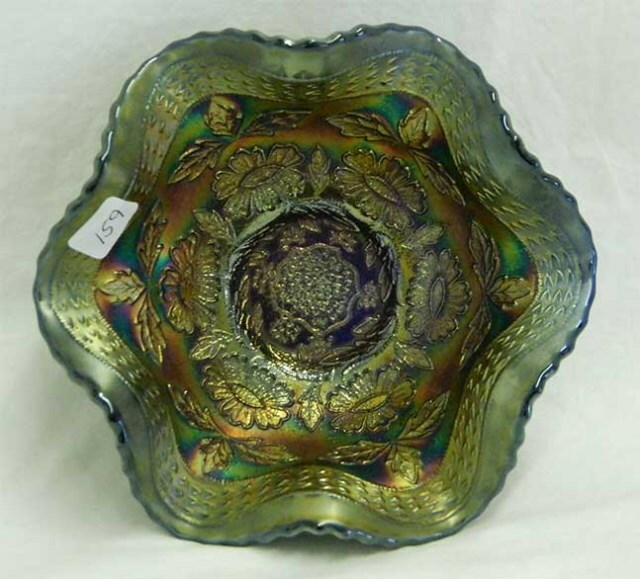 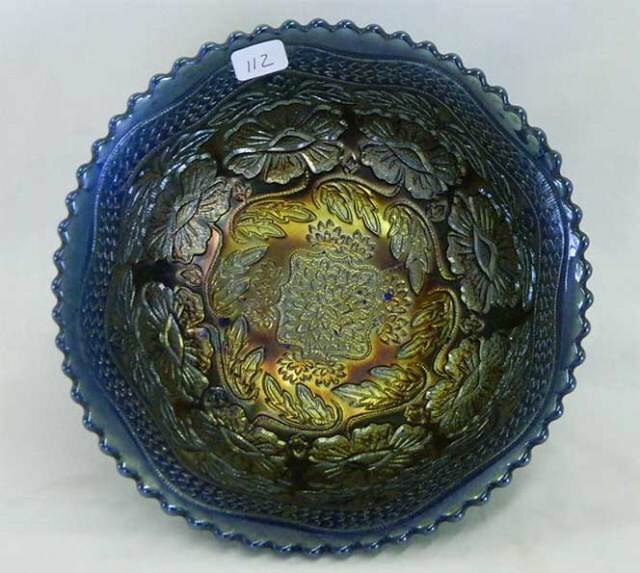 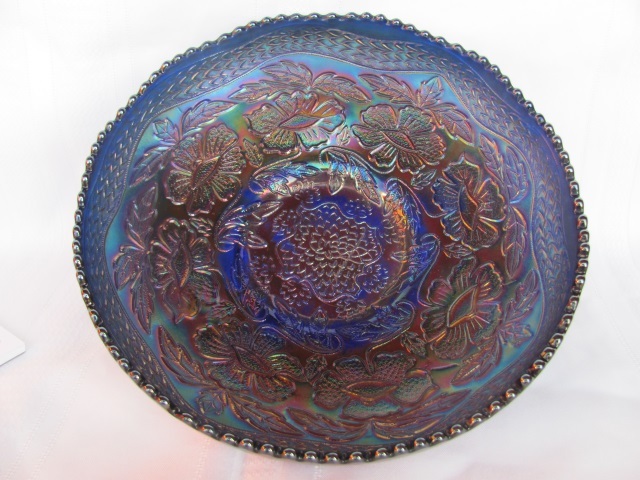 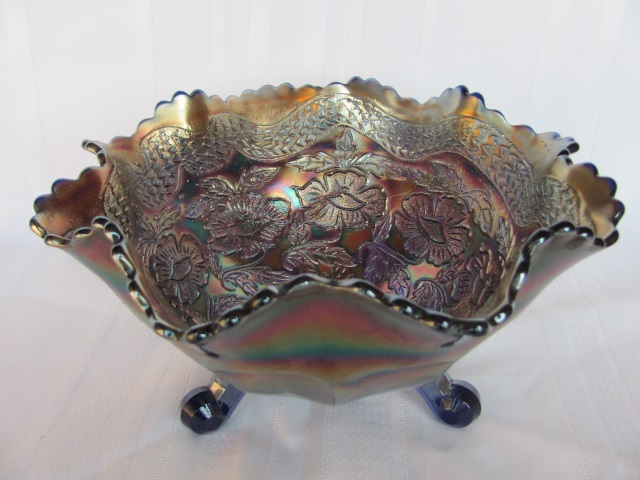 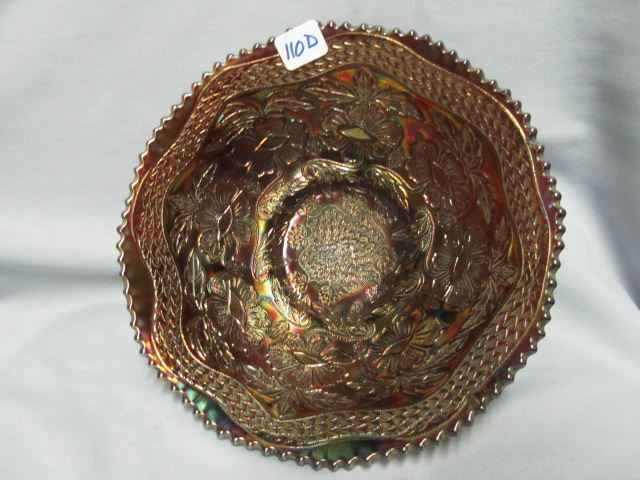 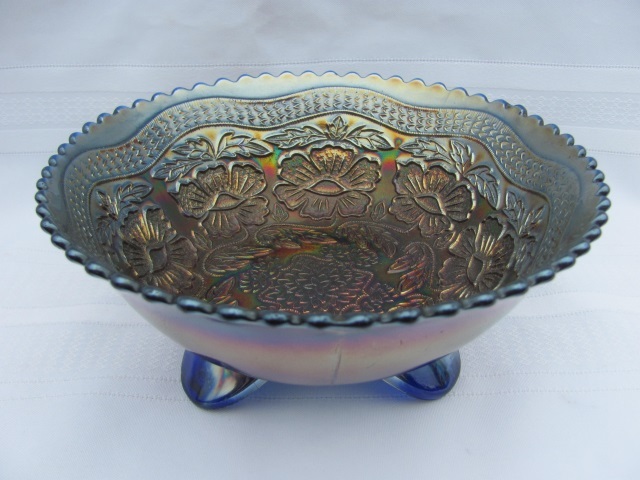 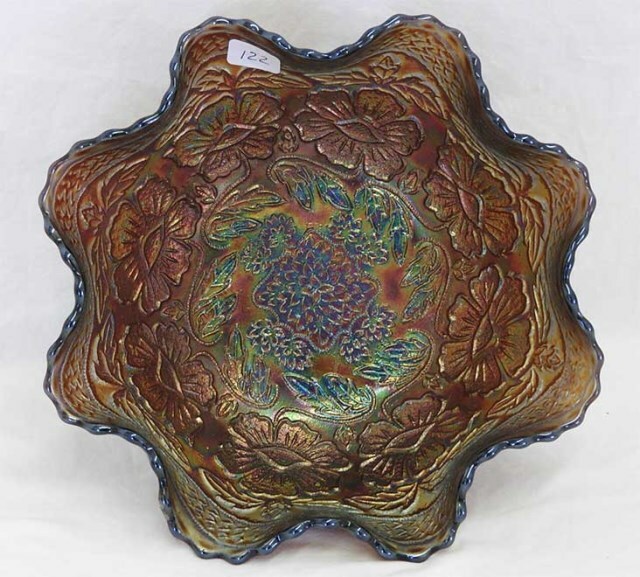 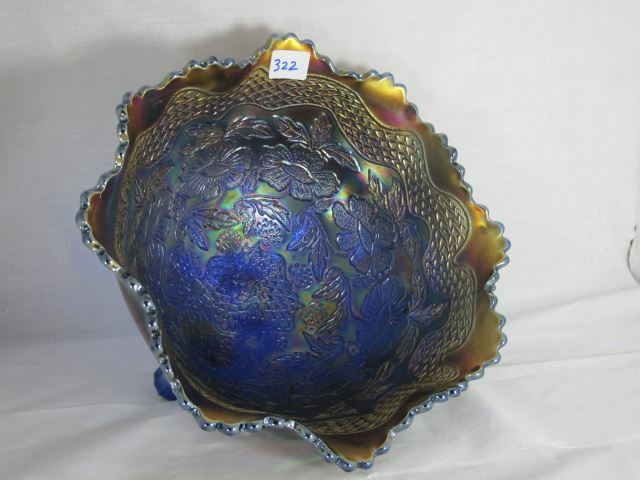 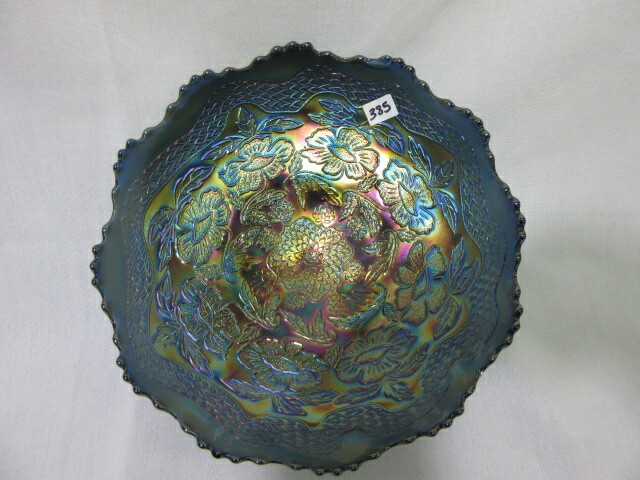 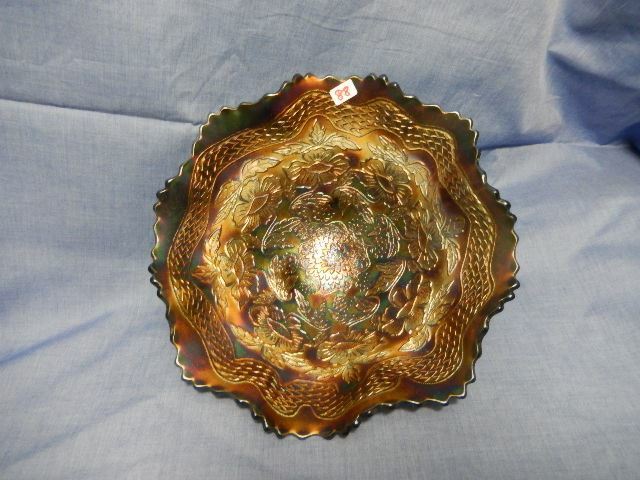 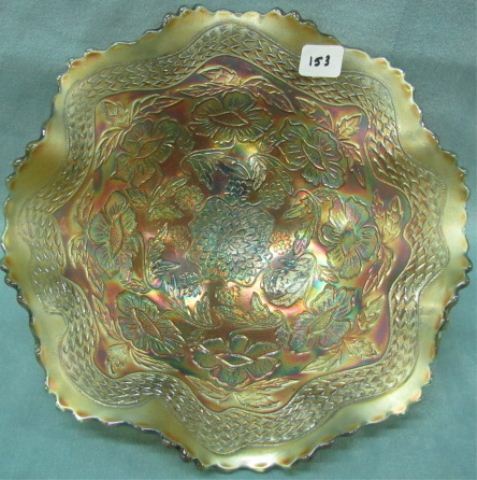 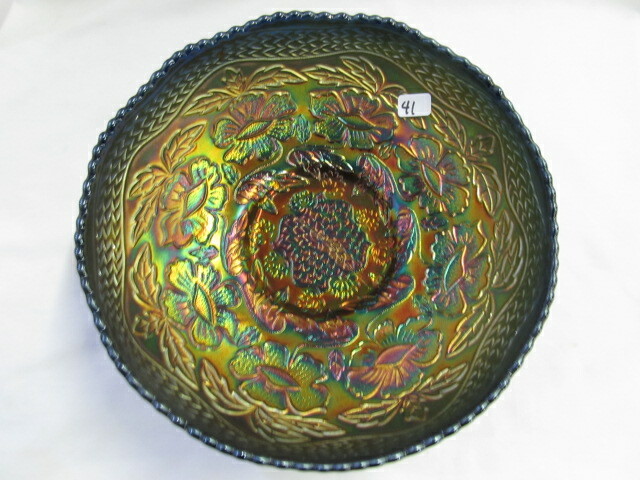 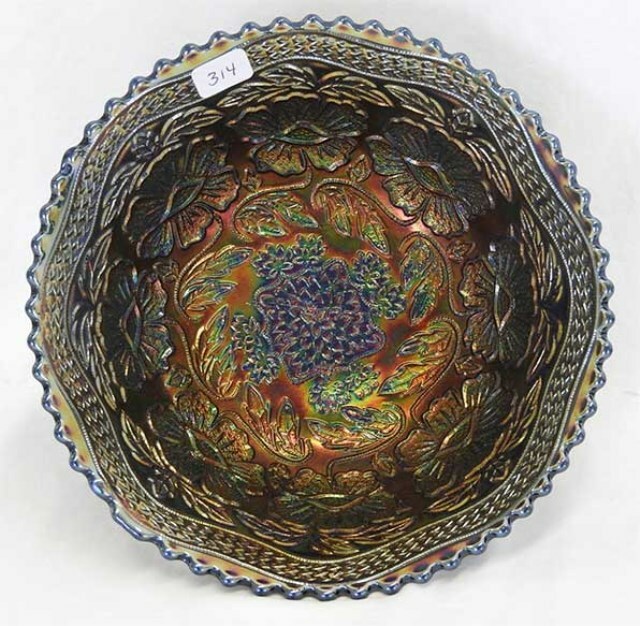 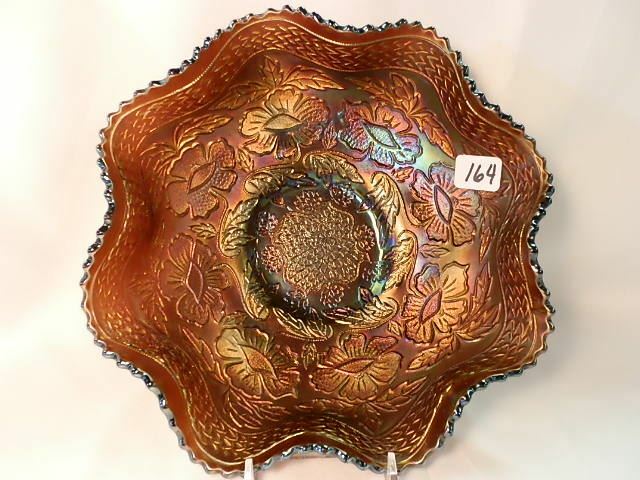 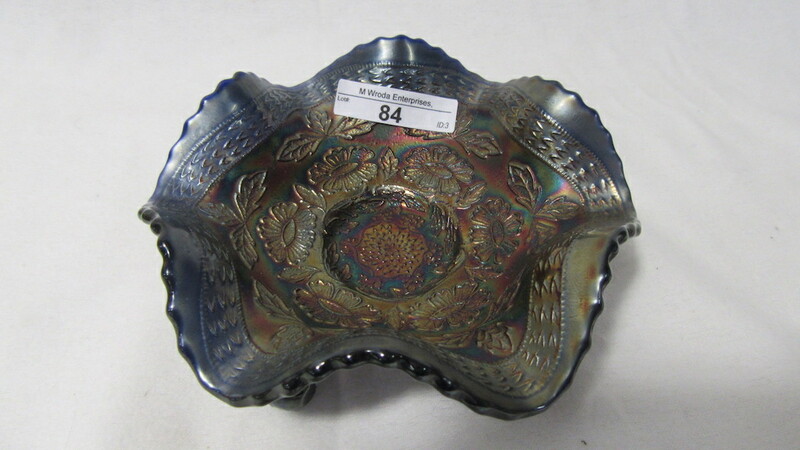 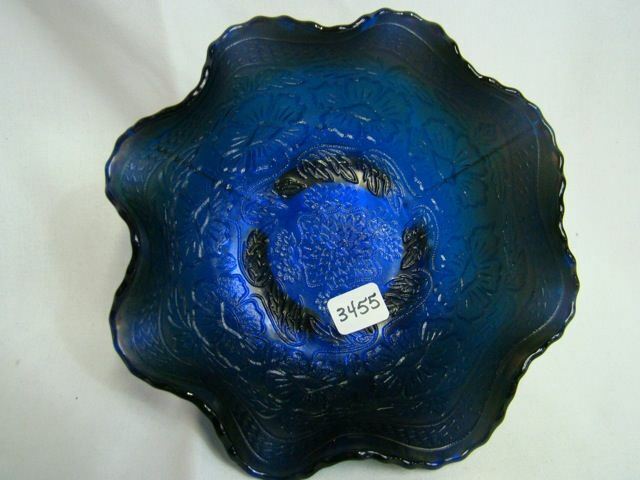 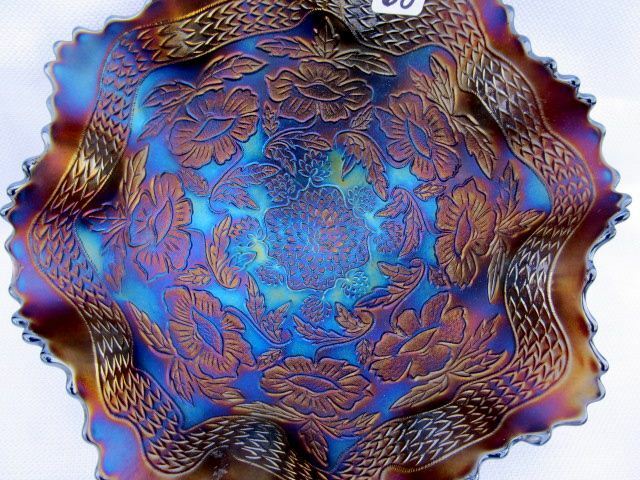 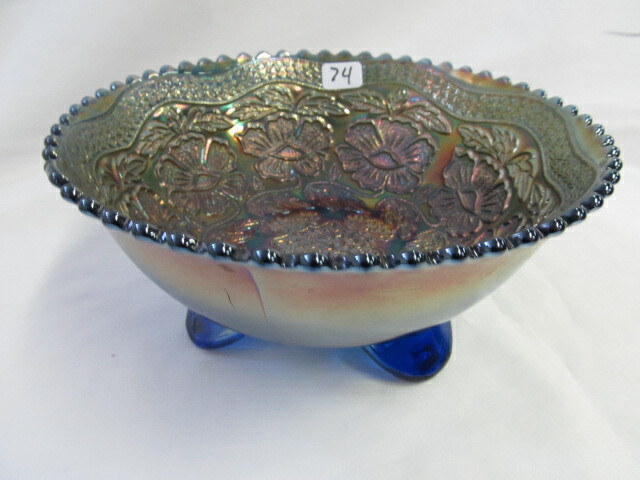 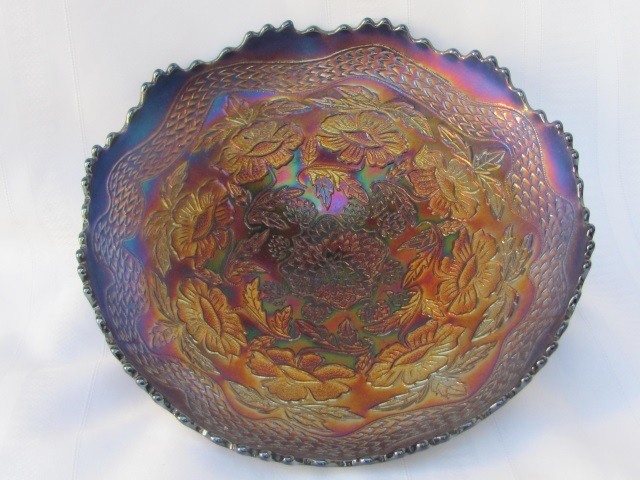 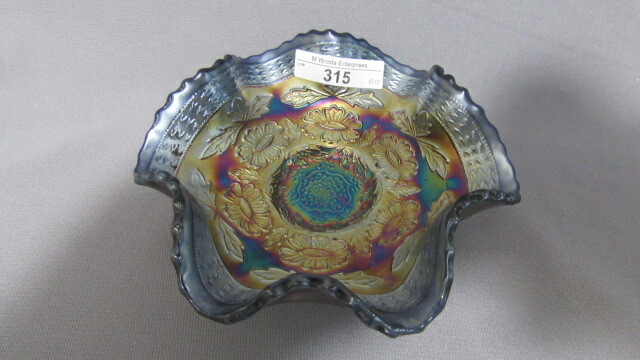 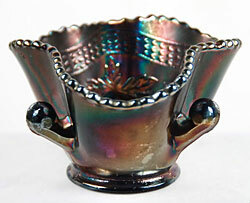 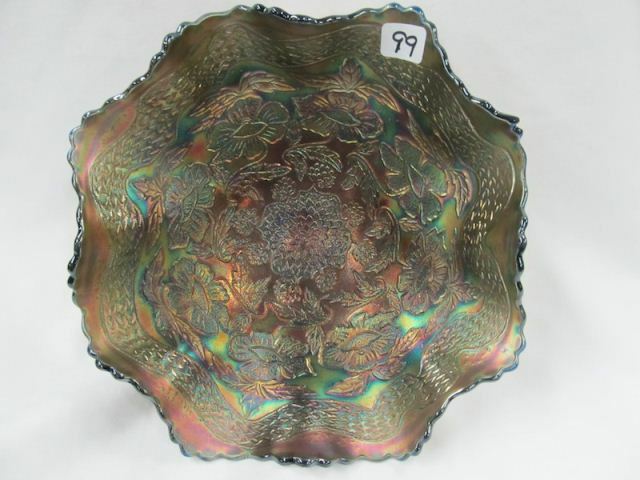 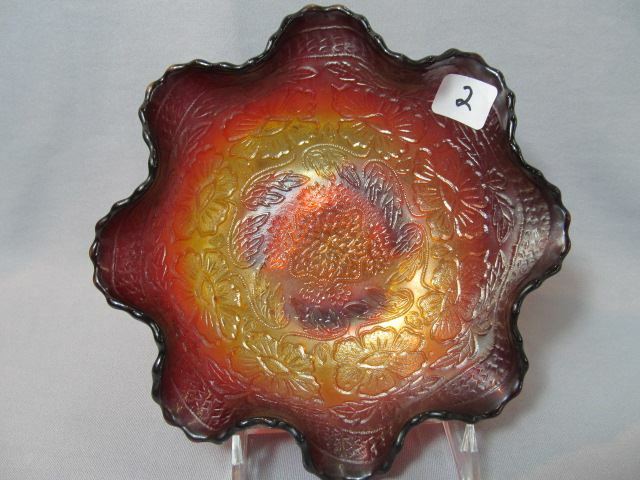 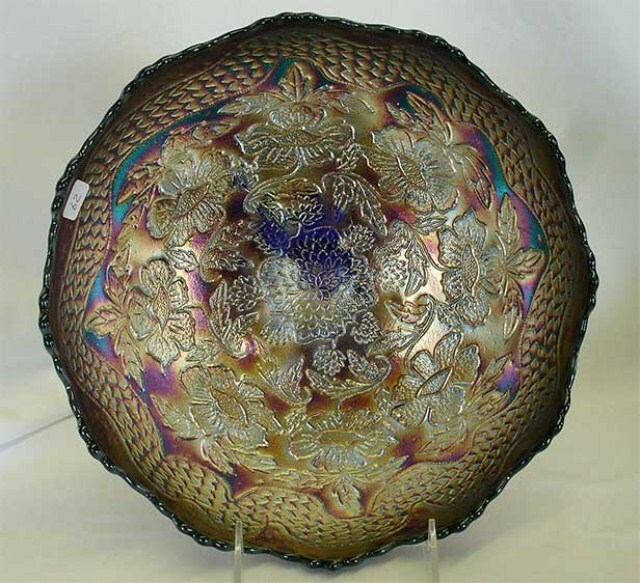 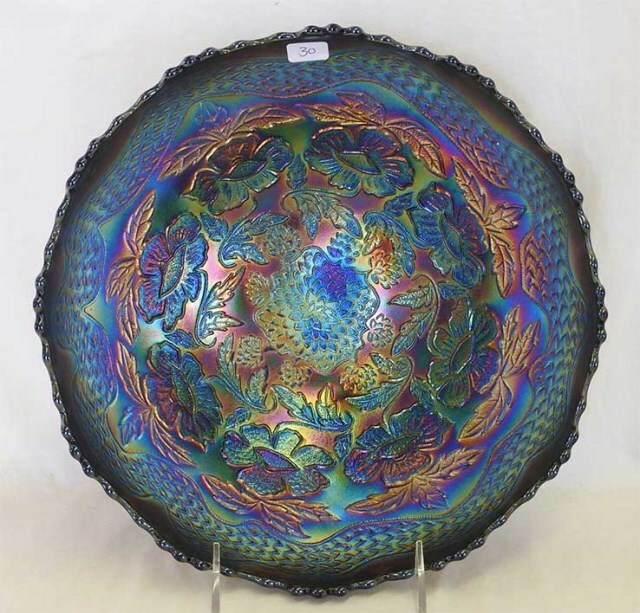 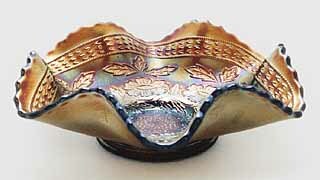 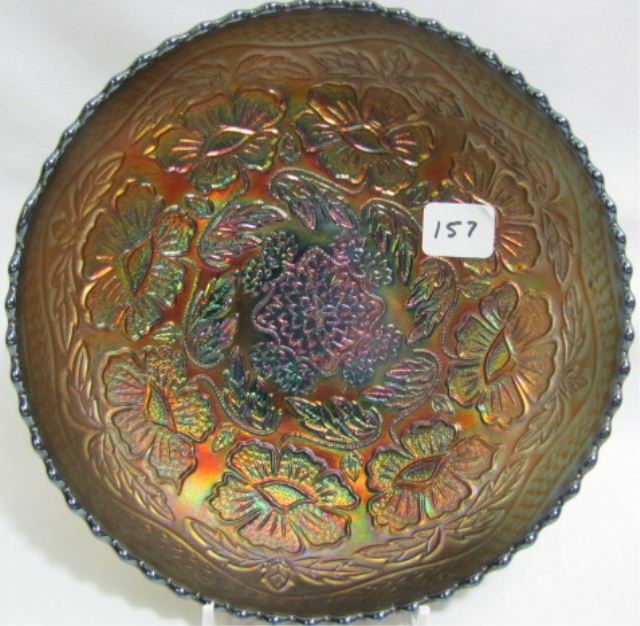 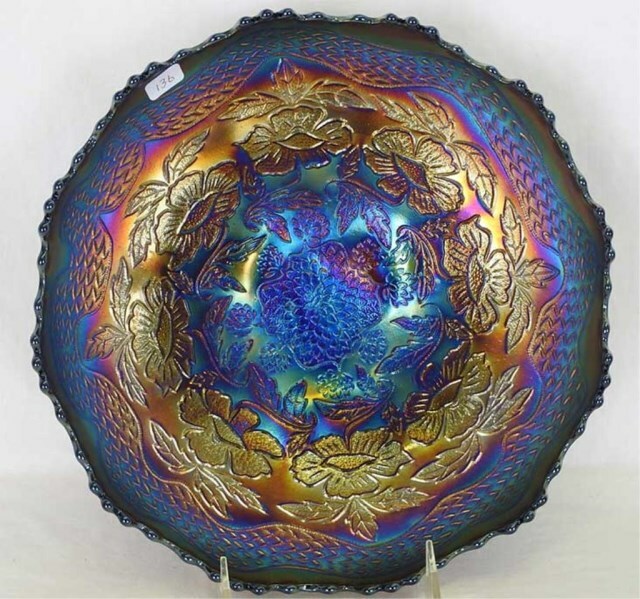 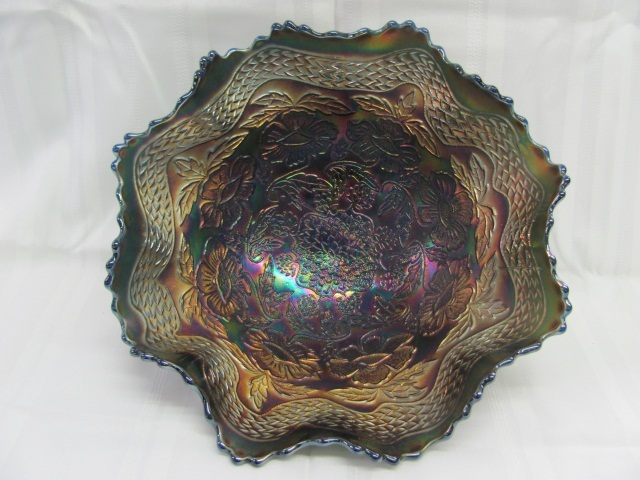 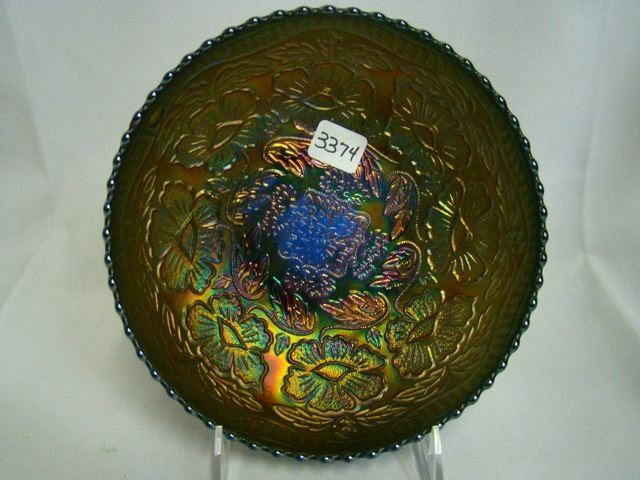 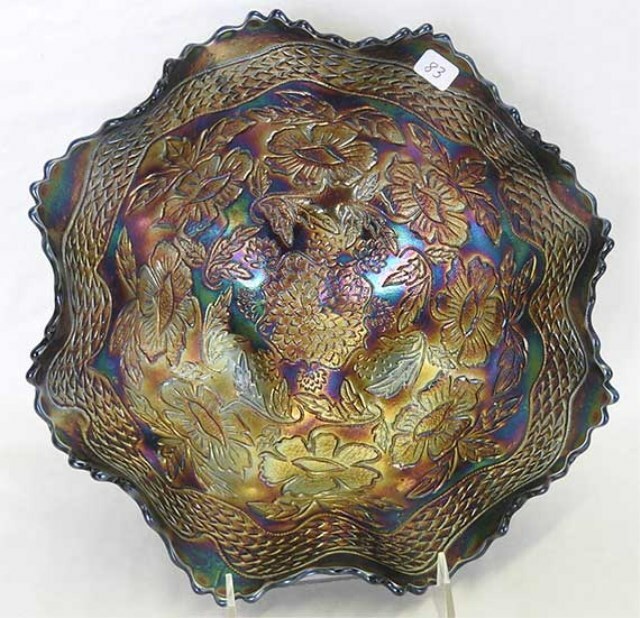 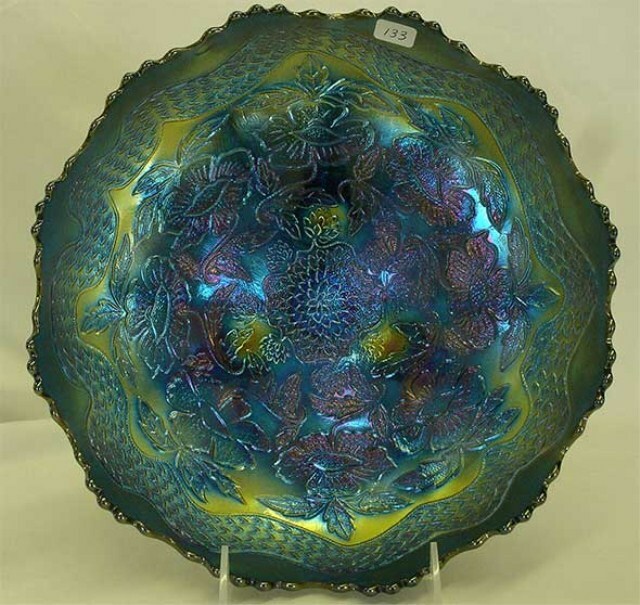 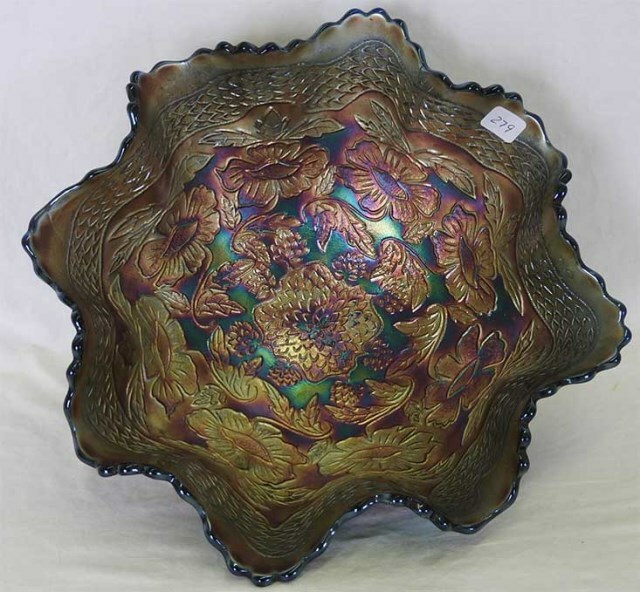 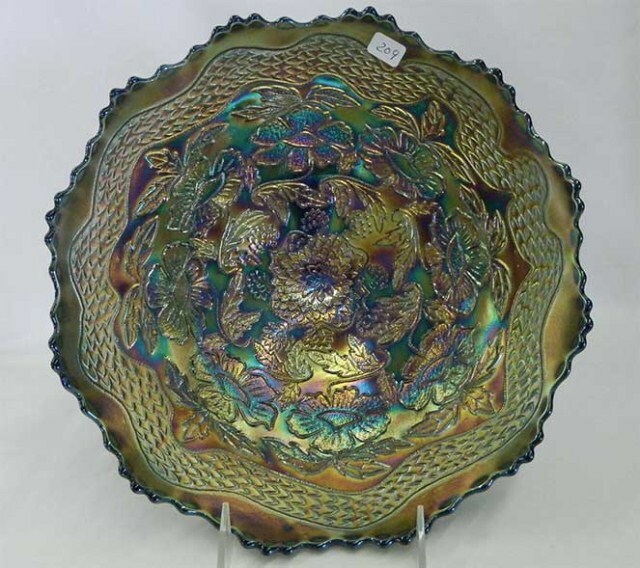 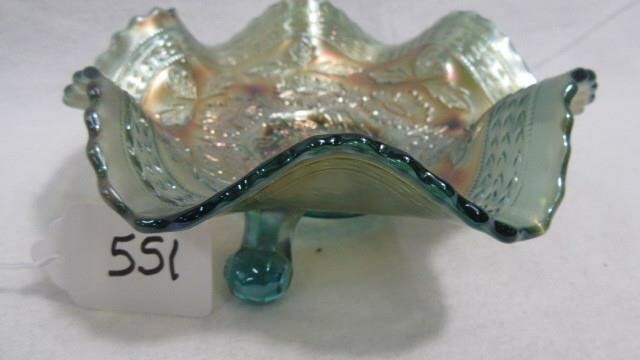 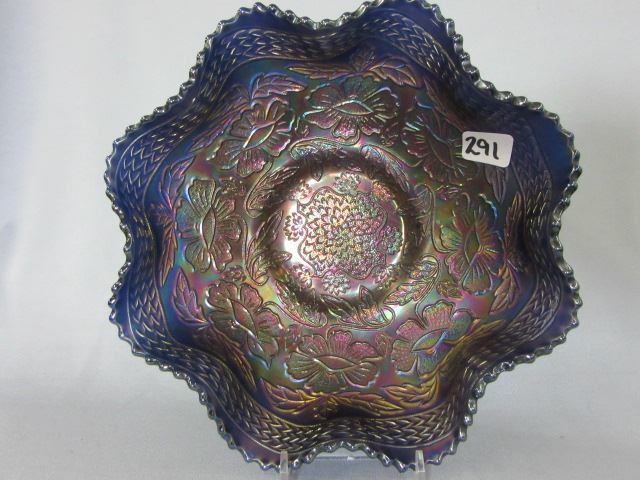 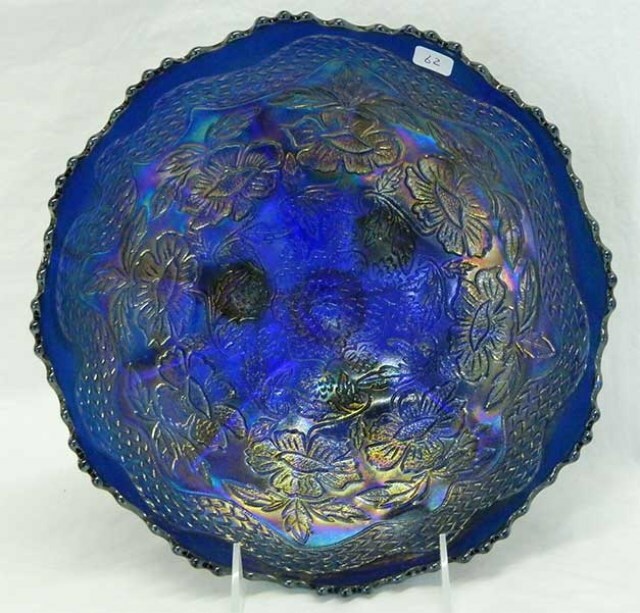 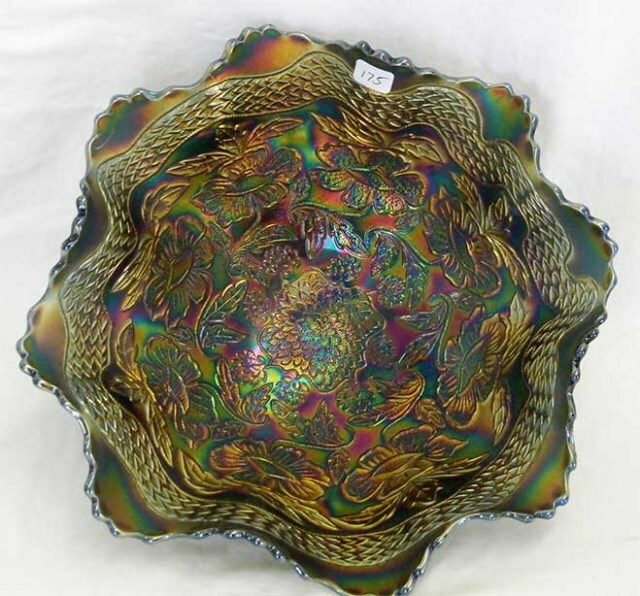 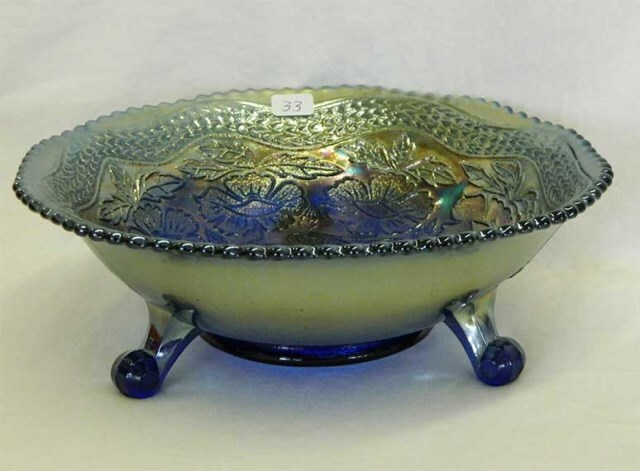 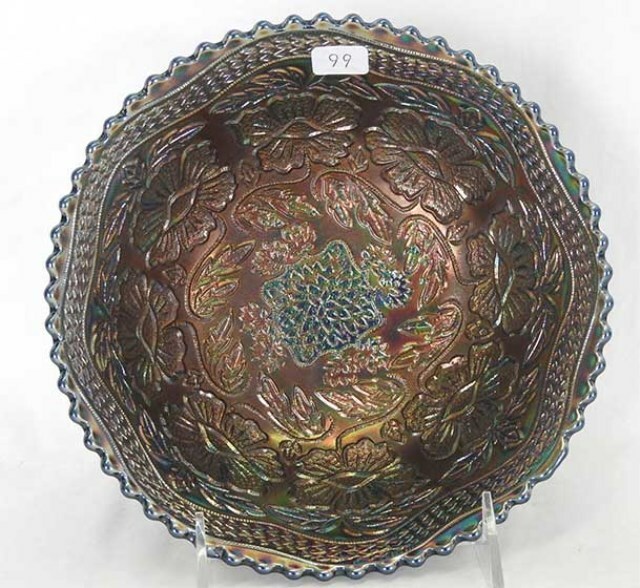 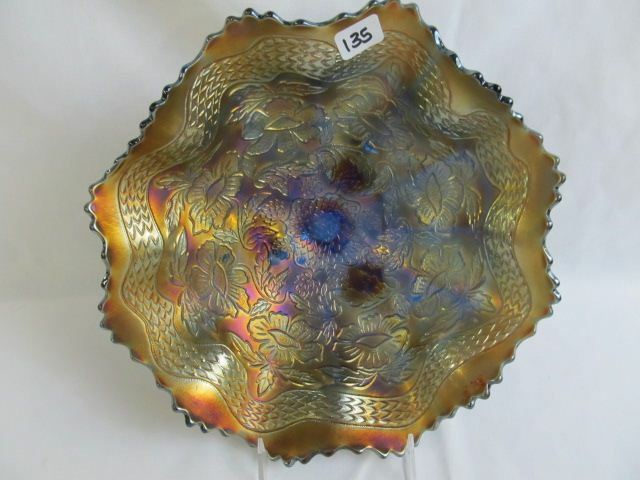 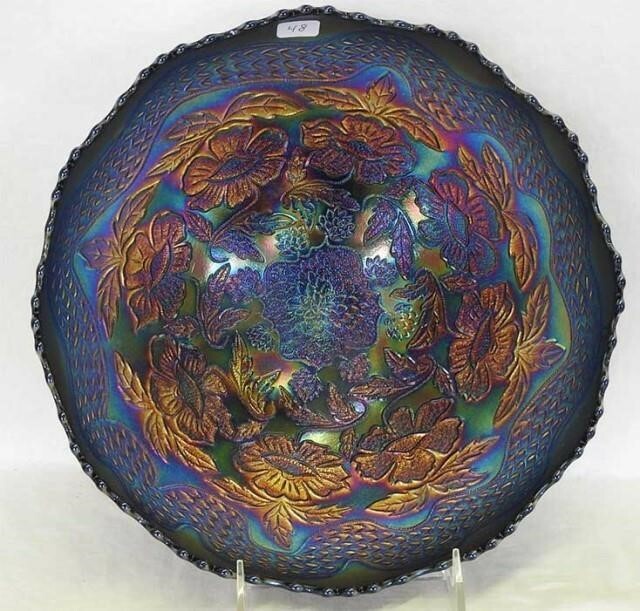 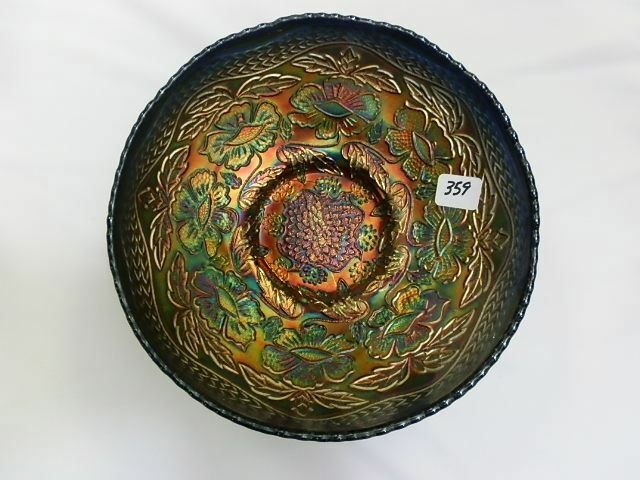 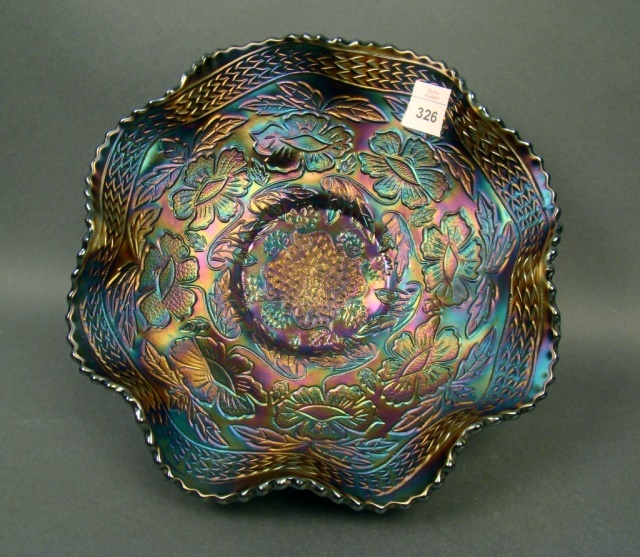 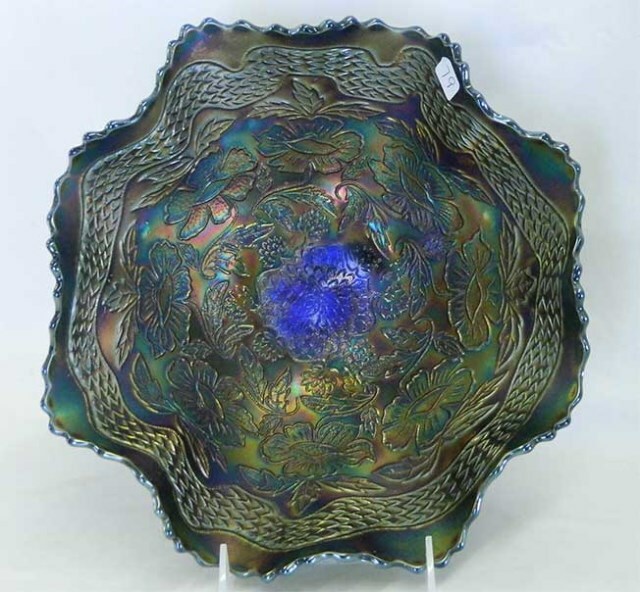 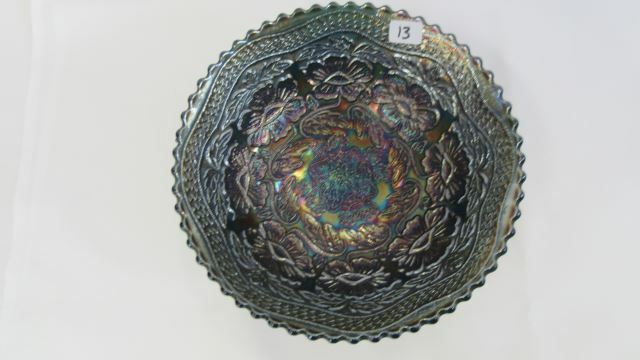 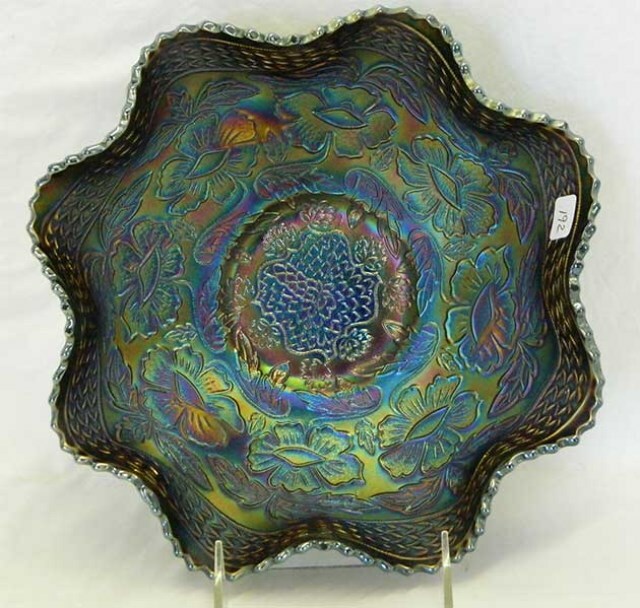 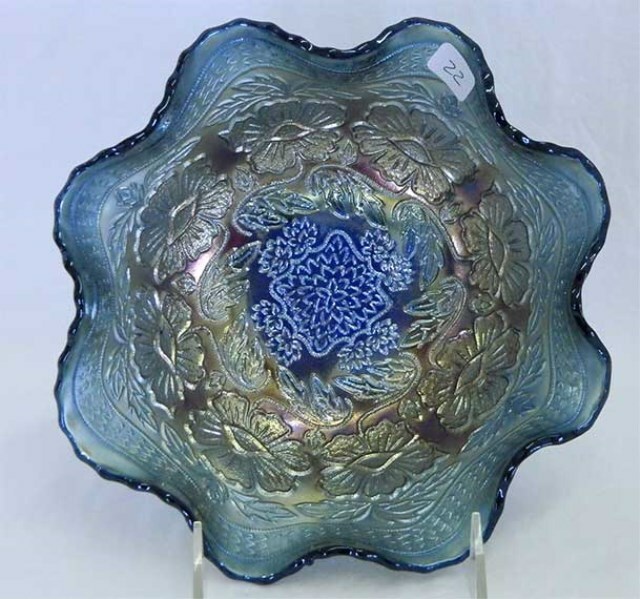 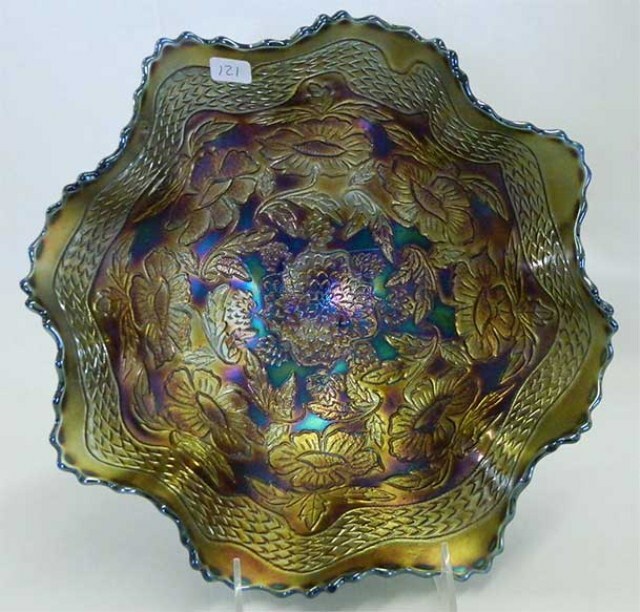 This interesting whimsey, made from a footed sauce in blue, sold on eBay in 2011 for $3,350.